Is a revolutionary semi-permanent micro-pigmenting technique that offers an alternative option for women suffering from hair loss who are not appropriate candidates for hair transplant surgery and who may currently be using alternative hair loss solutions such as hair concealers or systems which can be time consuming to apply and costly to maintain. 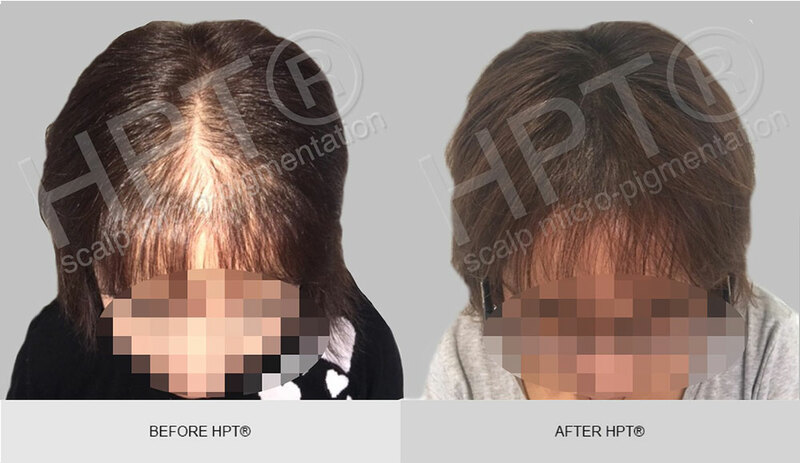 HPT® scalp micro-pigmentation involves the use of a digitally controlled needle which applies medical grade hypoallergenic colour pigment into the scalp. 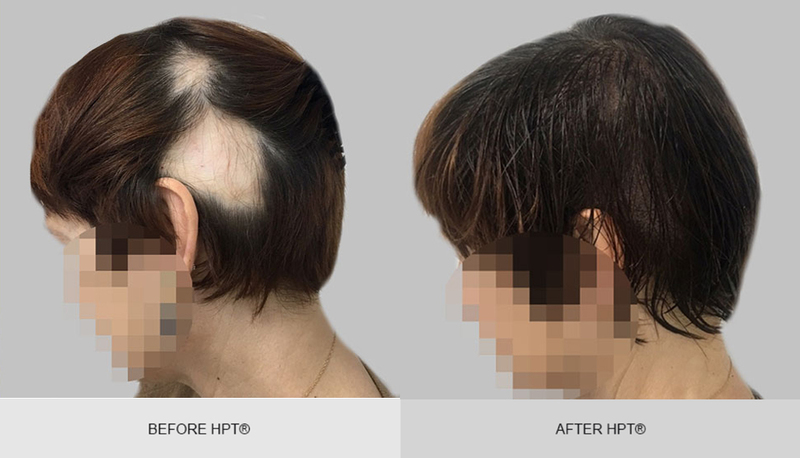 As well as female pattern or diffuse hair loss, HPT® can create the illusion of hair for patients suffering from a host of scalp conditions including scarring alopecia’s, alopecia areata, totalis and universalis, as well as hair loss due to injuries and burns or disguising surgery scars.